When you hear the phrase, “it takes a village to raise a child,” that rings true not only for residential group care but for all children in our society. As discipline has taken a different route from spankings, going to bed without supper and getting paddled (if you acted out at school) to losing one’s cell phone privileges, having allowance withheld, or being grounded for two weeks, parenting styles and the emphasis being placed on child development has also evolved. Unfortunately, the underlying theme of child abuse has not changed and still exists in society today. Whether or not you have children of your own, it is beneficial for everyone to learn what the signs of child abuse are so we can reach out to help and become the voice for a child that feels they have no voice. A change in the child’s appearance and/or personality. This could be dressing more provocatively, covering up more, or acting out when they do not normally do so. A child who is potty trained reverting to having accidents again, whether it is during the day or at night. The child that acts more anxious or jumpy when approached by someone. The child begins losing interest in hobbies or activities that they normally enjoy doing. The child begins to isolate more; they spend more time alone or in their bedroom. Missing days of school due to experiencing more illnesses; though the child had been healthy previously. The child exhibits avoidance behaviors such as wanting to go to school early or leave late so they can avoid the abuser. There can be nightmares experienced or even “flash backs” that occur due to the trauma caused by the abuse. At times, the perpetrator tells the child they will hurt or kill their family if they tell on them, so the child may begin lying more frequently, or tell stories. 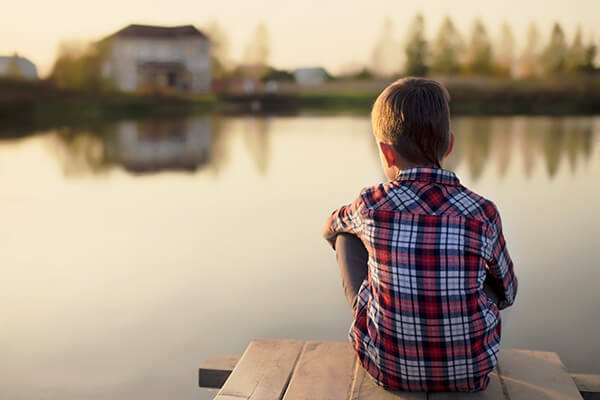 If you see any of these warning signs begin to show in a child you know, it is important to take that first step for them by reaching out to a professional who can assess them. Whether you contact 211 Helpline for resources in your area, or call the abuse hotline directly at 1-800-96-Abuse (22873), keep in mind it is better to err on the side of caution rather than to not get help and risk further trauma for that child.